To end our glorious Scotland road trip, we spent a couple of days taking in the wonder that is Edinburgh. I immediately found Edinburgh to be one of my favorite European cities. It felt like a fairytale setting, with its colorful buildings and the sound of bagpipe buskers a perfect balance for its typically gloomy weather. A giant castle perched on a hilltop looms over the city - it doesn't get much more magical than that. We actually got really lucky with the weather and saw a lot of blue sky during our visit and therefore did almost all of our exploring on foot (the one exception was our trusty go-to hop-on-hop-off bus). Wander along Grassmarket and up Victoria Street. This stretch of vibrant buildings and cobblestone is often compared to Diagon Alley (from the Harry Potter books, which are said to have been written in Edinburgh). Lining the street above, many restaurants have outdoor patios that offer a unique vantage point and comfortable spot to rest and enjoy lunch. Get up close to Edinburgh Castle. This historic fortress can usually be seen from anywhere in the city due to its location high on the hill, but seeing it up close is a must-do. We opted not to buy tickets to enter the castle due to it being extremely crowded when we went up. The views looking down on the city from the castle are also not to be missed. The Scotch Whisky Experience. I personally found this to be a slightly hokey experience, but all in all, am glad we did it. It is comprised of a Disney-esque short ride through the whisky-making process, an introduction to the aromas of whiskies from different regions of Scotland, a walk through the world's largest collection of whiskies, and a dram (we chose the Silver Tour & Tasting, which I found to be more than adequate - no need to upgrade to one of their higher-level experiences). Walk the Royal Mile. This is the main series of streets that comprise the Old Town area of Edinburgh. It's lined with shops, restaurants, and pubs - I recommend stopping into a pub for a pint and some live music! Pay a visit to Greyfriars Kirkyard Cemetery, another stop for Harry Potter fans, where you can see Thomas Riddell's gravestone. Nearby is a statue of Greyfriars Bobby, a dog who is said to have spent fourteen years guarding the grave of his owner until his own death. 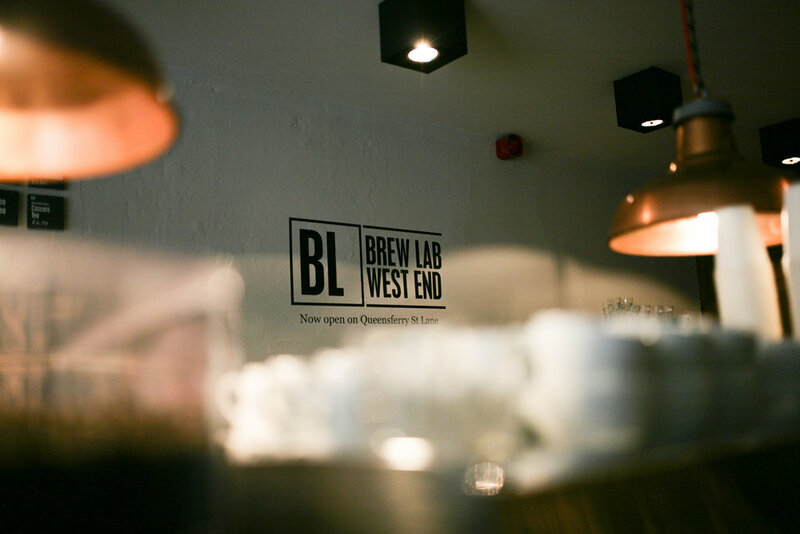 While you're walking the Royal Mile, make sure to stop into Brew Lab for specialty coffee and a doughnut from nearby Baba Budan. One day, we happened upon the lunch spot Let Me Eat Too and had a fabulous meal with even better service (apparently I was too hungry to take photos at this spot!). I would recommend this especially on a rainy day, as it has a very cozy vibe. My favorite meal in Edinburgh was breakfast on our last morning in town. We walked through the university district (a lovely morning walk) over to Press Coffee. The coffee was tasty and I still think about my meal sometimes...poached eggs on potato pancakes with asparagus, arugula, and the slightest amount of hollandaise. Must recreate. We decided on a centrally located Airbnb for our stay in Edinburgh. 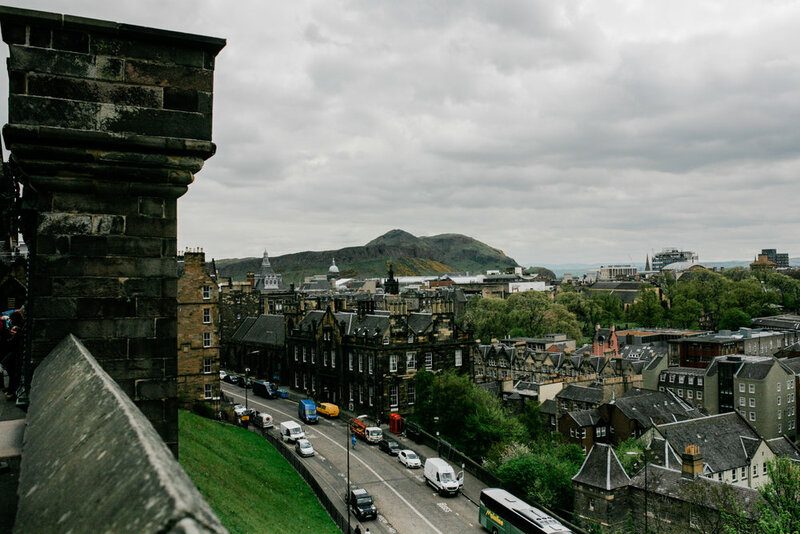 There are plenty to choose from depending on your own personal preference (see my guide on Choosing the Perfect Airbnb here), but I highly recommend staying in Old Town near Grassmarket Square. It's the perfect location from which to explore all the main sights. By the way, it is definitely not necessary to have a car in Edinburgh. We did have one, but only because we were at the end of our Scotland road trip and had to wait to return the car at the Glasgow airport after our stay in Edinburgh.